Freshman Lauren Goodwin has something on her resume that few others could match: she has written and self-published her own book. The book, entitled What What What, is a series of coming-of-age essays about growing up with faith, family and friends. Goodwin wrote what would become her book in the twilight of her senior year of high school. Goodwin went through the entire process of publishing by herself, with the except of her cover photo, which was taken by a close friend. Goodwin also did all the marketing herself, putting the book on Amazon, local Barnes and Nobles, and her local coffee shop. 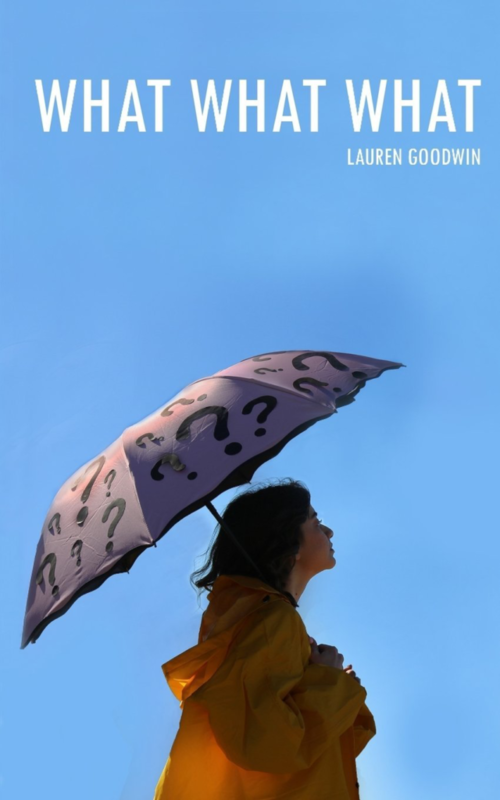 Lauren Goodwin is in the first year of pursuing her English degree and plans to keep writing and is considering transitioning her talents to focusing on fiction. Look out for more projects to come from this aspiring freshman. If you are interested in buying What What What, follow this link to the amazon website.